We are here to love God, love each other, and serve the world through a growing relationship to Jesus Christ. And, we'd love to have you join us on that journey. Our community of believers began in 2008 when Pastor Dennis and his family stepped in as lead pastor for a small church in Blue Springs. Back then, we were called Blue Springs Free Will Baptist Church. Soon after, we merged with another local church called The Bridge and we've grown a lot in size and depth since those early days. Now, we call ourselves LifePoint Crossing, to symbolize the point where life and faith intersect through the sacrifice of Jesus on the cross. We are a place where seeking people who are far from perfect can bring their questions, doubts, and baggage to connect with God and each other. We believe church means more than just sitting quietly in rows for an hour on Sunday mornings. Life is better together and gathering outside of Sunday worship services is key to developing real relationships and making a difference in a world that needs the hope of Jesus. We want to see lives changed! How do you fit in?  Most importantly, you're always welcome at LifePoint Crossing. Wherever you're at in your faith journey, we'll be saving a seat for you on Sunday mornings. If you're ready to plan your first visit, click here. When you're ready, we're excited to help you connect with others and find a place to serve that suits your passions and skills. Beyond that, if you want to learn more about our beliefs as a church, click here. Or if you'd simply like to get in touch with a person on our welcome team directly, click the button below.